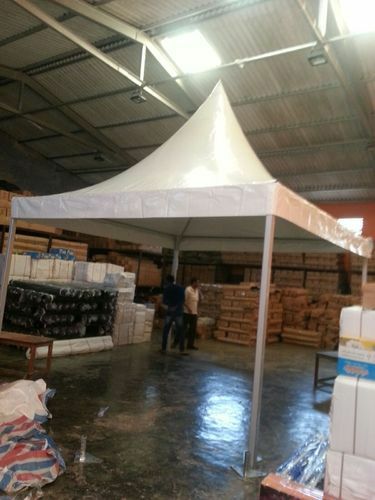 Manufacturer of a wide range of products which include white pagoda tent, plain pagodas tent and pagoda tent. 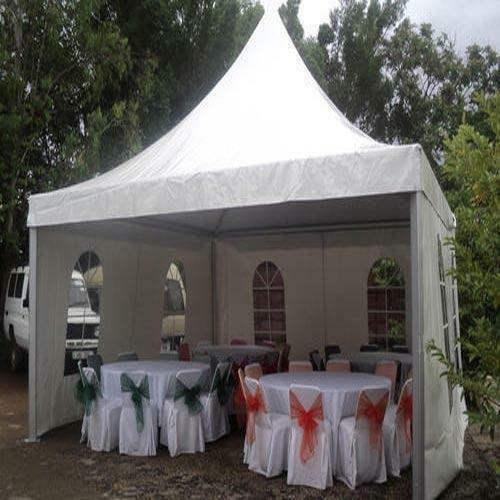 White Pagoda Tent is a Light Weight Galvanized Structure. It is very easy to install & remove. 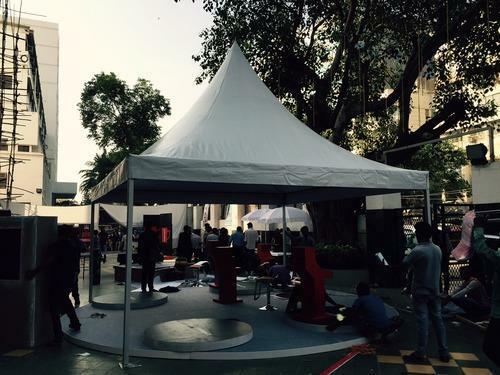 In this Model, the Steel Structure can be seen from outside. Modules can be coupled. Open Air Cafeteria, Temporary Events, Sports Areas, Car Parking, Resort Tents, Warehouse, Temporary Storage, Gas Stations, Cover in Gardens & Open Terrace etc. Modules are in ready to fit condition. Hence can be installed at a site easily, thereby reducing site work. Modules can be added from all sides if required. So future expansion is feasible. Galvanized Finish gives a long and trouble-free life. Easy to remove and reinstall, due to light material, the simplicity of installation. The top cover is made with European Make Architectural fabrics which have excellent UV, Fire Retardancy, Tear Resistant properties and a very long life.